Danil Kerimi has recently set up the Forum’s new Centre in P.R. China to partner with governments, leading companies, civil society, and experts from around the world toco – design and pilot innovative new approaches to policy and governance in the Fourth Industrial Revolution. Previously he was in charge of the Technology Industries, Digital Governance, NETmundial Initiate, Global Information Technology Report as well as held regional responsibility for EMEA. Danil develops relationship with the leaders and executives of the top technology companies in the world, senior policy-makers/regulators and is responsible for shaping industry agenda. In addition, Danil leads the work on national digital/cyber strategies and evidence based policy making. 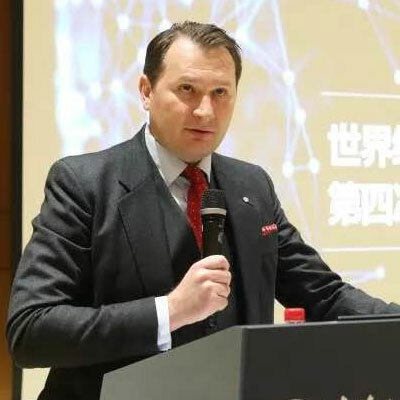 Prior to joining the World Economic Forum, Danil had various leadership positions with the United Nations, Organization for Security and Cooperation in Europe and in the private sector. He is a graduate of Shandong University, Vienna Diplomatic Academy and Global Leadership Fellowship offered by the World Economic Forum in collaboration with a number of academic partners. He is an affiliated fellow of the Berkman –Klein Centre for Internet and Society, Harvard Law School, serves on the Advisory Board of Stanford Cyber Policy Program and Korea Governance and Media Lab.